Hongkongers are the most unhappy of residents of three Asian cities in a survey conducted after the Occupy Central movement. The city’s score has hit a record low – worse even than during the Sars outbreak. 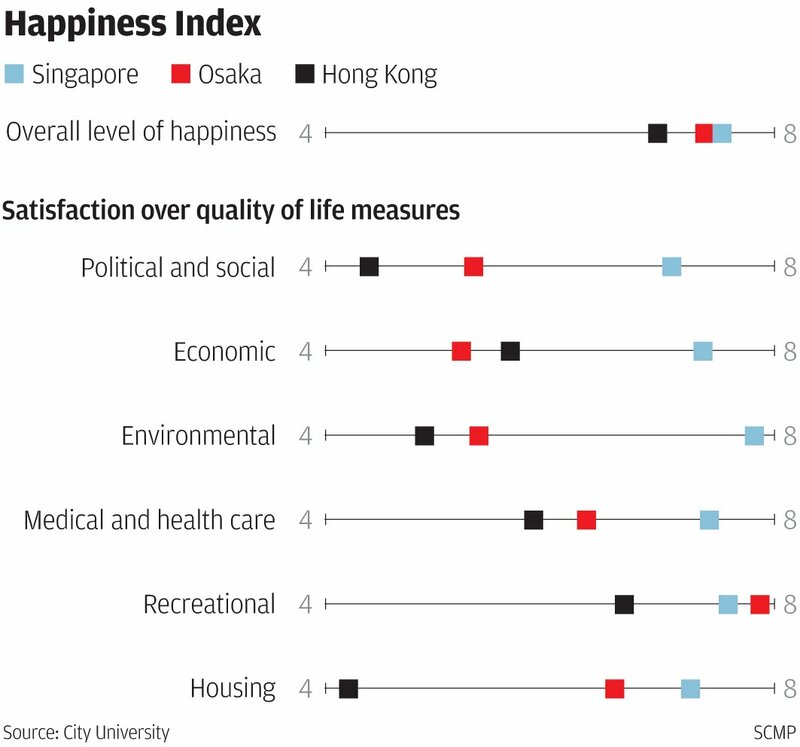 City University conducted a study last month in Hong Kong, Osaka and Singapore to gauge people’s levels of satisfaction in six areas of life and their attitudes towards happiness. More than 1,100 people were interviewed in each city with a total of 3,468 questionnaires answered. The six areas covered were politics and society, the economy, the environment, public health, leisure and entertainment, and housing. 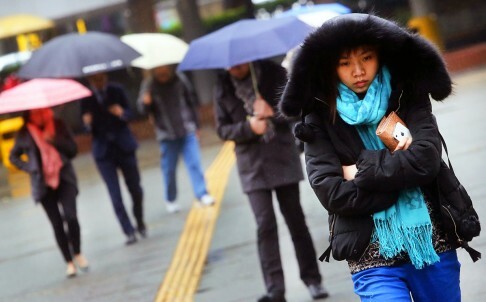 Hong Kong scored the lowest among the three cities, with an overall happiness index of only 6.98 out of 10. Singapore had the highest score at 7.56, while Osaka recorded 7.41. “It’s a new low … we have never [reached] that low point before,” said Professor Dennis Wong Sing-wing, leader of the study. In similar happiness studies undertaken by Wong between 2002 and 2006, the index had never plunged below 7. Ten years ago the city scored 7.32 – the highest during the five-year period. Even in 2003, when the city was badly affected by the severe acute respiratory syndrome outbreak, the index was at 7.11. Of the 6 areas covered, housing and political factors had the worst scores, with 4.22 and 4.41 respectively. The Occupy Central movement could be symptomatic of the low rating for politics, said Wong. He said divisions between the establishment and large sections of society were still raw in January, just a month after the protests finally came to an end in December. “If our survey had been done in December, [the overall index] might have been even lower,” said Wong. Many protesters in Occupy were tertiary students and the unemployed – two groups who appeared to be the least happy. “If the government does not solve the problems faced by them, they could be our city’s time bomb,” said Wong, stressing unless their concerns were addressed Hong Kong risked a turbulent future. In particular, Wong urged more focus on housing policy. The overall winner – Singapore – scored 3.05 points higher than Hong Kong in housing. Wong said with more than 80 per cent of housing provided by the government in the city-state, homes were more affordable than those in Hong Kong. The economy was the only area in which Hong Kong did not rank bottom – finishing ahead of Osaka – which could reflect the city’s stable indicators and Japan’s sluggish economic performance. A happiness index survey in December from Lingnan University – measuring satisfaction with public policy, the media, living environment and public healthcare – revealed a score of 7.05.